Puerto Rico is full of remote, rustic and paradisiacal spots that remind us of how the Caribbean used to be. 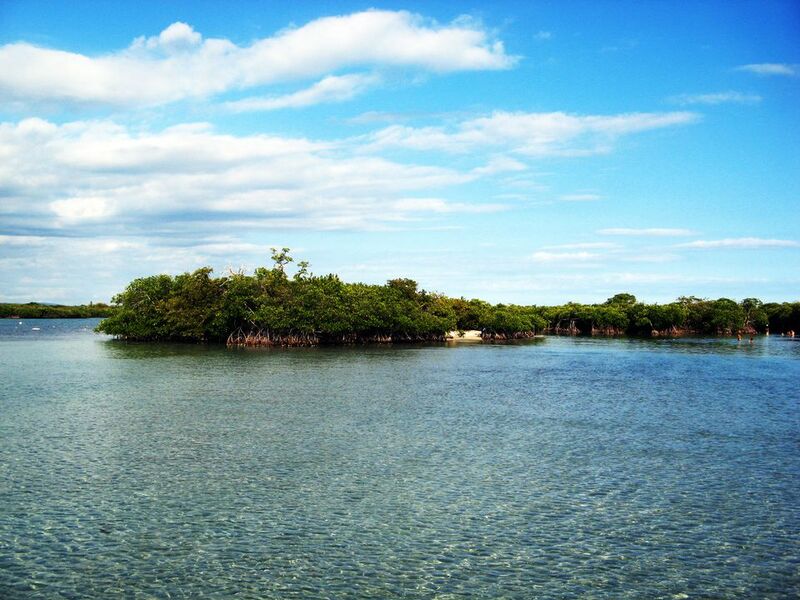 One such destination is Gilligan's Island, a tiny key located off Guánica, on the southwest coast of Puerto Rico. For the traveler who likes to get away and disconnect, it doesn't get much more off the beaten path than Gilligan's Island. But first, a disclaimer: the show Gilligan's Island was not filmed here. It was actually filmed in Hawaii and California. This island's official name is actually Cayo Aurora, but the nickname stuck. Gilligan certainly never sailed here, and this island is a lot smaller than the spot where he and his crew were stranded for so many years (or episodes). The Puerto Rican version of Gilligan's Island is little more than a collection of mangroves stitched together with a wooden boardwalk leading to them. A few tiny sandy beaches can be found here, along with a collection of barbecue pits and basic facilities (note: lifeguards and food or drink of any kind are not among those facilities). If you've come here to explore or hike across an unspoiled Caribbean island, you'll be done in about 5 minutes. That's not the appeal of Gilligan's Island. If you're looking for an ultra-photogenic spot from which to snap your "I'm on vacation" selfie, head to Palomonitos instead. So why make the trip? Part of the fun of being here is the journey... you can kayak or take a ferry from Guánica (it's a 10-20 minute trip from the shore), and if you're a guest at the Copamarina Beach Resort, you can take a free pontoon boat across the water. The marine life has made this spot part of a biosphere reserve managed by the Puerto Rico Department of Natural Resources. Is it a place that you should put on your must-do list for your next vacation? Not really. Puerto RicoThis island doesn't lack for spectacular beaches or places to snorkel. But if you like the idea of truly getting away from the cozy confines of your hotel room, the crowded beachfront and the slick city, you might just fall in love with this spot. Just remember that Gilligan's Island is a BYOE kind of place. As in, Bring Your Own Everything! Snorkeling gear, fishing gear, towels, cooler, food, water... it's up to you to bring whatever you need to the party. If you do want to get here and you're not staying at the Copamarina, you can take the ferry from San Jacinto restaurant off Route 333 (the restaurant will also bring you lunch while you're on the island) or head over to MaryLee's by the Sea, where you can rent kayaks or a boat.